Okay, so we all love our Keurig because we can get a fresh cup of coffee whenever we please but what if we could also get a meal out of it? Nature Valley has come up with a way to get a great start in the morning with the new Nature Valley Oatmeal K-cups. The new Nature Valley Oatmeal K-cups work like your normal everyday coffee. 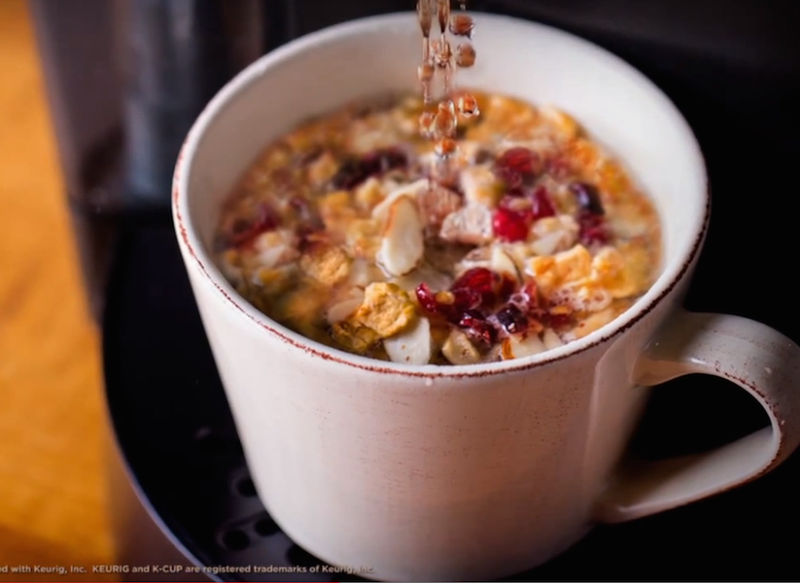 Open the box of Nature Valley Oatmeal and pour out a package of oatmeal into a bowl, now take the K-cup place it in Keurig have a coffee cup ready and when the K-cup is done pour into your oatmeal mixture and stir for a hot meal. The new Nature Valley Oatmeal K-cups come in 2 flavors Brown Sugar Pecan (my personal favorite) and Apple Cinnamon Almond. Each box of Nature Valley Oatmeal K-cups has 3 servings. You can find all things Nature Valley by clicking here. You can purchase the new Nature Valley Bistro Cups at your local Walmart or grocery store.